Washburn Rural 1 owner Mark Ediger built 2-story on great corner lot! Features include 4 nice sized BR's & laundry room all on the same level, 1st floor formal LR & DR, & updated kitchen with granite counters. The full finished basement includes family room, wet bar, BR & full bath. Finish your evening on the deck overlooking fenced back yard with garden shed. 2830 Santa Fe (MLS #206287) is a 2 story single family home located in Topeka, KS. 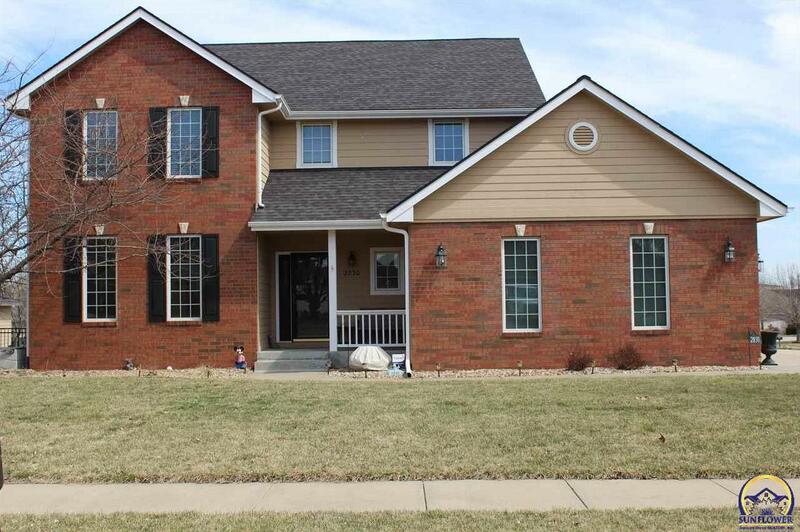 This single family home is 2,836 sqft with 4 bedrooms and 4 baths. This property was listed on 03/25/2019 and has been priced for sale at $259,900. Nearby zip codes are 66604, 66610 1509, 66610, 66615 and 66618. This property neighbors other cities such as Auburn. Listing Last updated 03/25/2019 11:45 AM CDT . Some properties which appear for sale on this web site may subsequently have sold or may no longer be available. Walk Score provided by Walk Score. Mapping data provided by Google and Bing.